Co-lead singer Jess Wolfe told Paste earlier this year, “We’re two voices singing as one.” And from the first vocal notes of “Wildewoman” on Lucius’ eponymous debut, her description couldn’t be more perfect. Wolfe and fellow frontwoman Holly Laessig sing in unison or in close tonal harmony throughout the record, bringing an extra dose of force to an album already fortified by strong song structures, substantive lyrics and precise playing. Lucius, a Brooklyn-based quintet, also includes Danny Molad, Peter Lalish and Andy Burri, who collectively handle the production, percussion, guitars and bass. At times almost country (the swinging title track and the ballad “Two of Us on the Run”) and other times impossibly hip (the tinkering in closer “How Loud Your Heart Gets” and impeccable ruckus of “Nothing Ordinary”), the band’s influences ring clearly, but not overpoweringly so. Most prevalent is a soulful ‘60s vibe, courtesy of Wolfe and Laessig’s matching voices and wardrobes. “Turn It Around” opens with a capella vocals over the two-one handclaps that mark almost every Motown song and a funky bass riff. “Hey, Doreen” has reverb-saturated keyboards and an ever-faithful flurry of “oh yeah”s. But Wildewoman’s true success comes by reintroducing retro girl-group swag to the 21st century at a time when it’s most needed. The album offers empathy for the heartbroken and sultry fun for partiers, all backed by fuzzy guitars and polyrhythmic percussion. 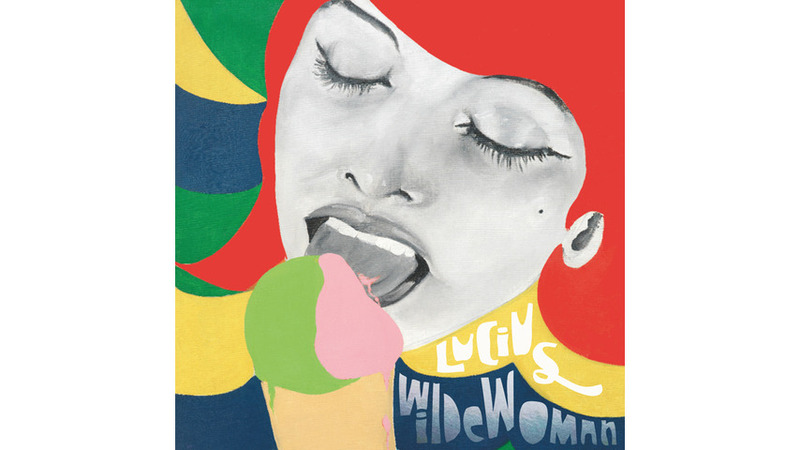 Lucius’ infectious melodies, keen self-awareness and shameless authenticity sweep through all 11 songs, making Wildewoman one of the most complete indie pop LPs this year. Listen to Lucius’ Daytrotter session here.